American Express is a well known credit card company that offers a variety of US-based work from home positions. in customer care. This company has been known for their superior customer service for many years. American Express gives individuals the opportunity to become part one of the world's highly respected brands. I will be giving you all an overview of their home based customer service position. As a customer care specialist with American Express, you will be responsible for evaluating and analyzing customer's account information and recommending products or services to their cardmembers. Weekly work schedule may include day/evening/overnight shifts. Time off will be available/approved based on current call volume demands. Does American Express offer Employee Benefits? 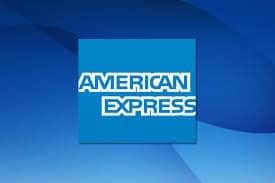 If you are interested in working from home for American Express, you can go here to apply for their current home based positions. Good Luck to all those who apply! with American Express, would you be considered a Independent Contractor, or an Employee?? You are very welcome! Usually on American Express, the keyword “Virtual” is the term for locating the work from home positions. The customer service job comes and go, so you have to keep a close eye on their careers page every week.